* Evening worship on the third Sunday of each month. 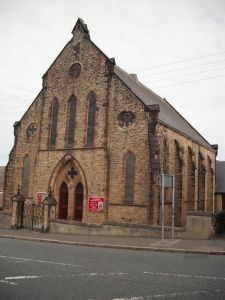 Blackhill and Shotley Bridge Uniting Methodist Church seeks to share the good news of Jesus with all people, through Christian love, care, fellowship and worship and to encourage the spiritual growth of all it's members. Our worship is both traditional and contemporary. For information about Blackhill and Shotley Bridge Uniting Methodist Church please contact a church steward by e mailing the circuit office. If you are interested, please let David Arbon know before Tuesday 30th April 2019, to book your place. You can find out more information by visiting the website here or talking to a member of B&SBU church. The day will begin at 10.30am with worship and a speaker, followed by a variety of workshops, with time for you to attend 3 or 4 during the day. At about 3.30 we will come back together for a time of celebration, finishing about 4.00pm. meets every 2 weeks through the summer.